This week we welcomed our latest and greatest window into the wild world. 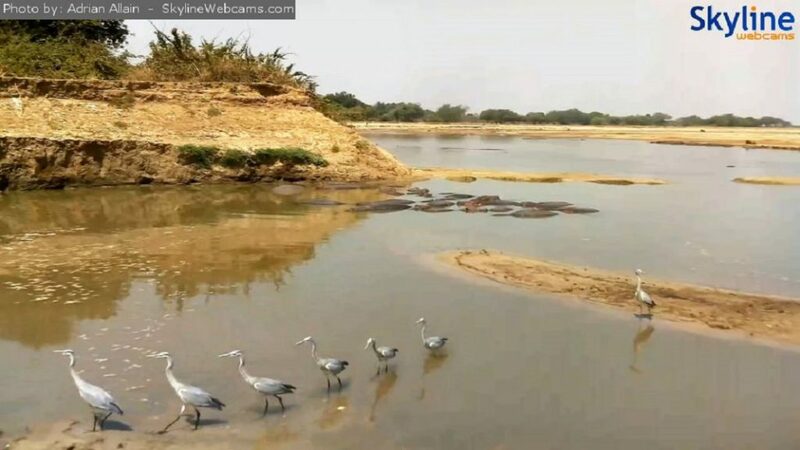 Enter, LIVE webcams! If you’re a lover of the bush – you’ll most likely know the yearning for the sun on your back, and dust in your nose, the sounds of the bush and smell of fresh air. In a perfect world, we would all retire early and move to our châteaux on the river bank, in the heart of the African bush. But… enter, real life (sigh). So, if you’ve got cicadas in your pants but can’t get back to the wild, we’ll bring the wild to you! 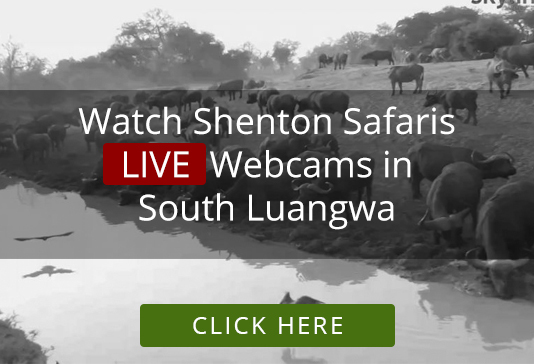 In partnership with our friends at Shenton Safaris and Skyline webcams, we now have live-stream webcams from some of the best waterholes at Shenton Safaris’ Kaingo Camp and Mwamba Bush Camp in South Luangwa. 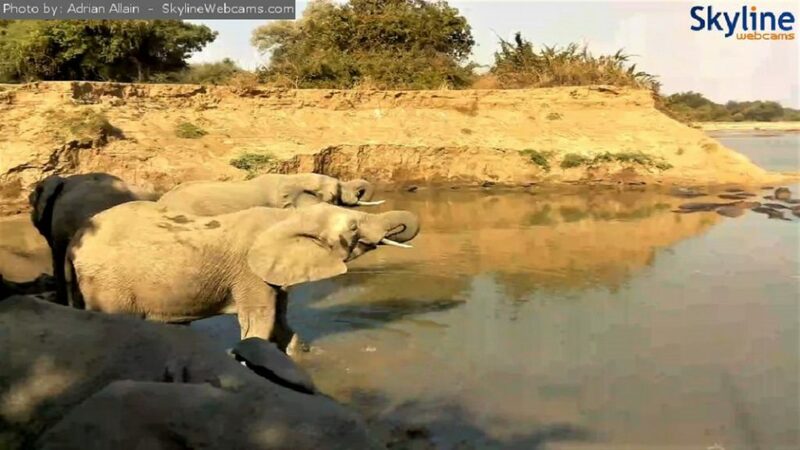 In the past few days we’ve already seen elephant, zebra, a herd of about 200 buffalo, impala, baboons, vervet monkeys, warthogs, hippos, crocodiles, and a vast array of bird life – all from the comfort of our own desks. The webcams already have our whole media team in a tizzy. We at Biggestleaf Travel, have all been glued to our screens, looking for anything that moves, and so desperately for lions that we’ve begun to see shapes in the shadows. 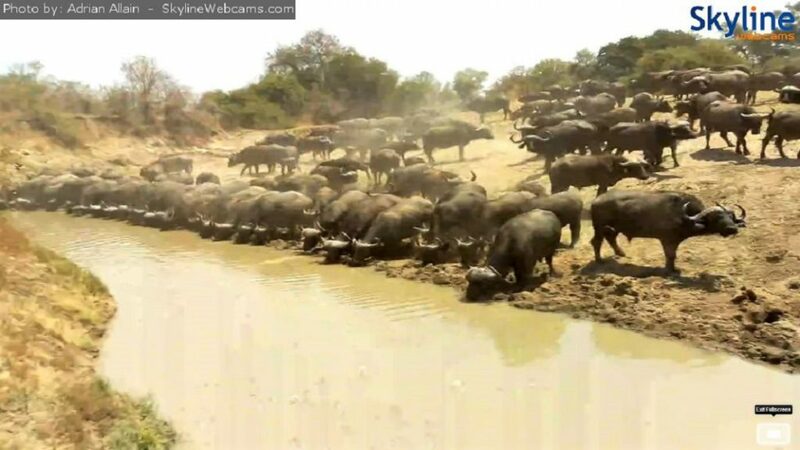 Watching the feed, you can almost smell the bush and hear the guinea fowl gurgling in the distance. It’s the perfect screensaver to take a moment out from your crazy life, and get your fix of nature. Thank You for sharing those beautiful places with us.It is incredible to be able to watch from so far away.I hope that maybe one day I will be able to experience it in person . We hope that you will be able to experience it too! Sending our regards to your father, and glad that he is able to share this wonderful experience you.